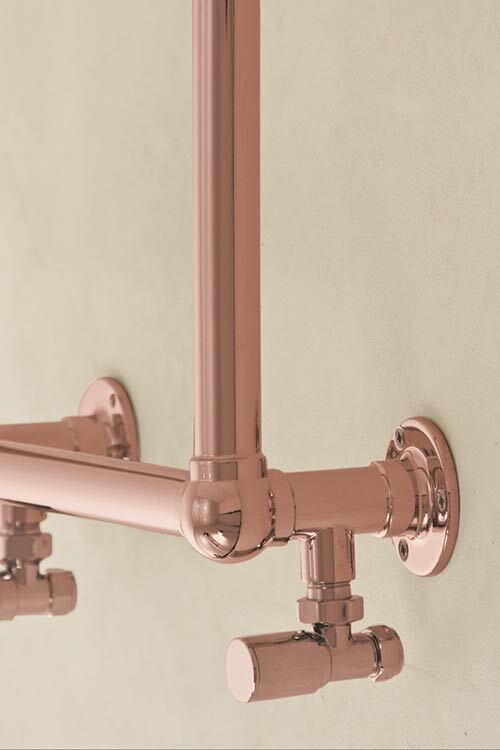 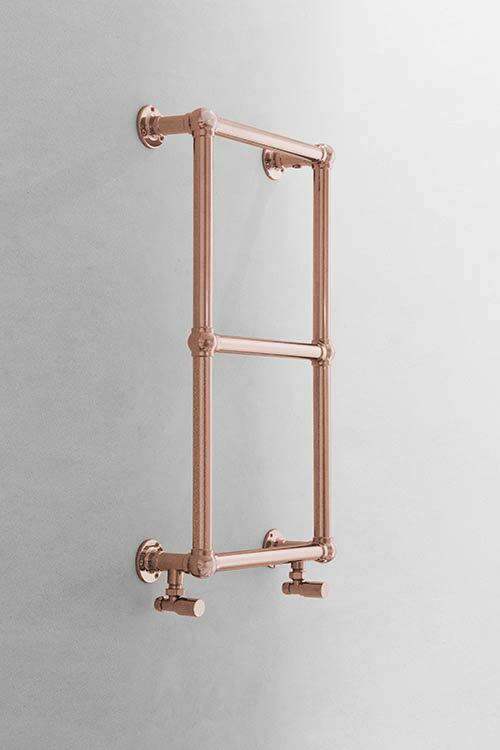 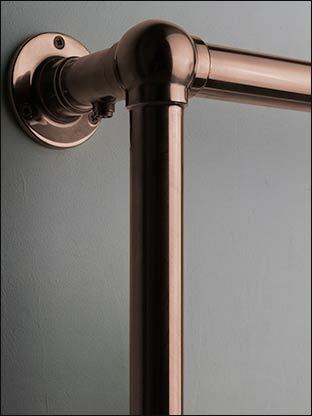 This elegant rose gold towel rail has a traditional ball jointed design. 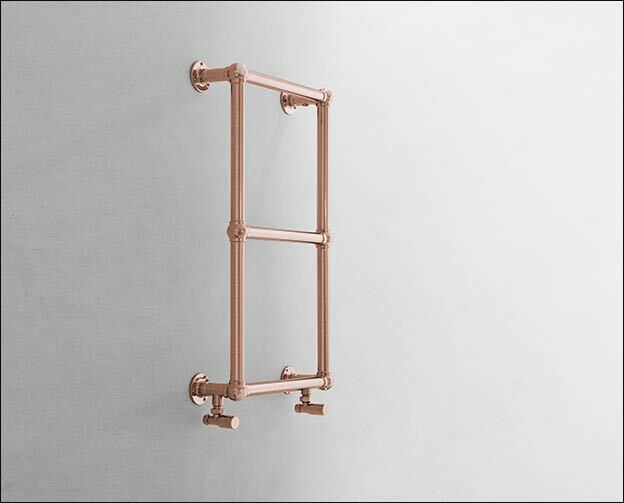 Made exclusively in Britain, this towel rail has a stainless steel body with a protected rose gold finish for quality and longevity. 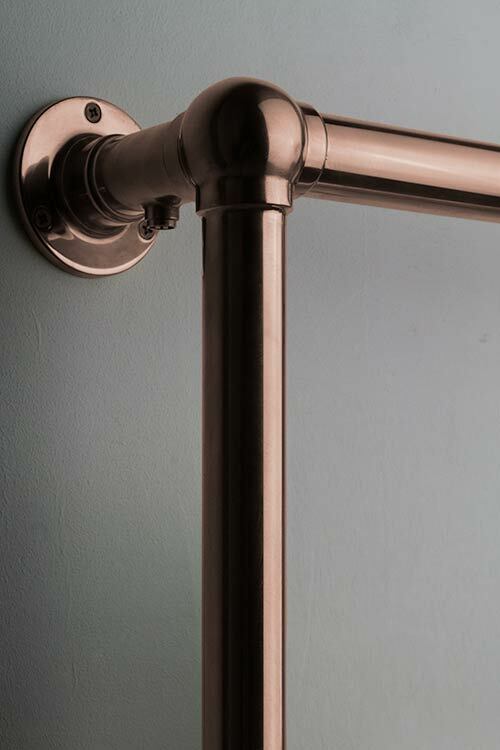 This radiator can be supplied for central heating, electric-only or dual fuel systems, with matching rose gold valves and pipe sleeves also available.